Ariane Littman is a multidisciplinary artist whose works focus on the Israeli landscape as a symbolic mirror of political conflicts. One of the main materials she uses is sterile bandages, which are stretched, unraveled, and re-stitched to cover various objects that assimilate into the landscape – body, maps, trees, sculptures, and more. 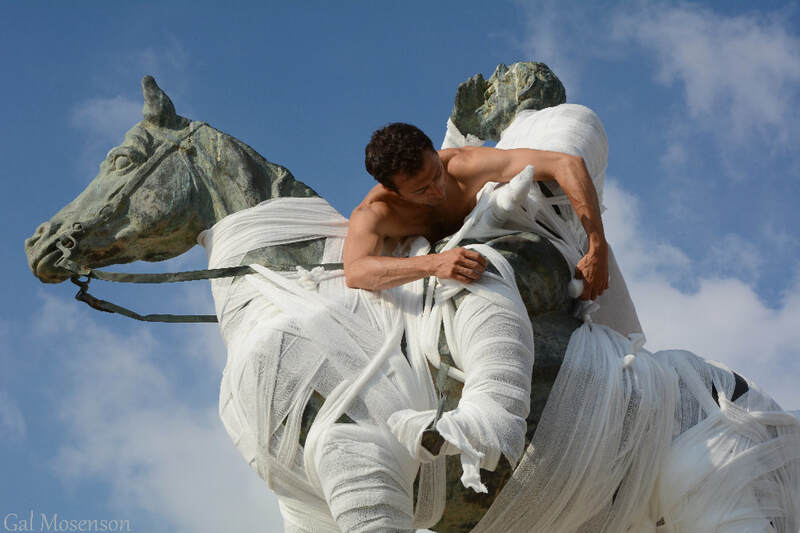 The act of bandaging brings to the fore the conflicts and wounds in the landscape. Ariane Littman (born in Switzerland) is a multidisciplinary artist and lecturer in the Department of Industrial Design at Hadassah College. She holds an MFA from Bezalel Academy, and an MA in Art and Aesthetics from the Hebrew University. Her works have been featured in group exhibitions in museums and galleries in Israel and around the world. Littman is a former artist in residence at Art Cube Artists' Studios in Jerusalem.